Kolkata - Dashing Indian batsman Virender Sehwag on Sunday gave the thumbs up to Lords and Ahmedabad, and the thumbs down to Eden Gardens – in terms of the food served to cricketers. “I love the food served at The Lords, in (Motera at) Ahmedabad. But I am never happy with food served by CAB (Cricket Association of Bengal – the local cricket association in Kolkata’s Eden Gardens),” said Sehwag. The comment coming from the Najafgarh man is bound to increase the creases of the CAB bosses, as it might trigger a fresh controversy surrounding the Eden. 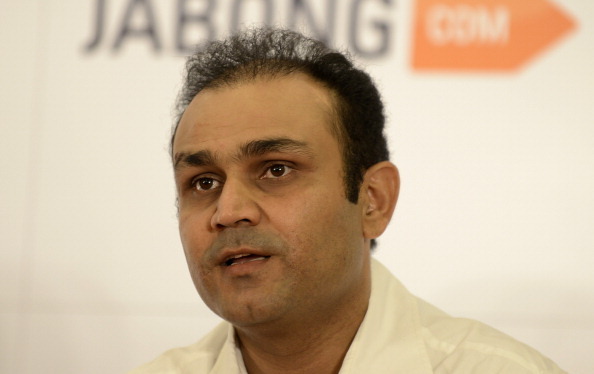 Also of relevance is the fact that Sehwag is a former restaurateur. He had opened his signature vegetarian eating joint ‘SehwagFavourites’ in Delhi’s Fun Republic Cineplex in 2005. Speaking at the launch of a book “Cooking on the Run” by writer Boria Majumdar, opener Ajinkya Rahane mentioned his love for Japanese Sushi, while spinner Ravichandran Ashwin was all for south Indian food. There was unanimity among the players – including Ashwin’s spin partner Pragyan Ojha and tennis star Mahesh Bhupathi – that a sumptuous spread was the best way to boost oneself after a poor day on the ground.